In this final book in the series, the girls have nearly completed their mission. All the magical animals but one have been found. Now Caitlin needs the girls’ help to rescue her beloved Ice Bear from the human world. Can Rachel and Kirsty do it? Caitlyn’s Ice Bear brings the power of Courage. Really Good! 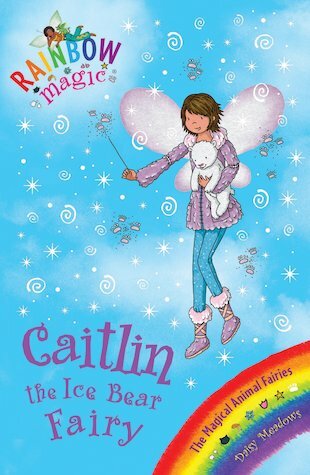 well i want to read this because the fairy is my name caitlin the ice bear fairy and my name is caitlin so thats why i want to read it ,.